The name derives from the Latin word "Quattuordecimum", the 14 miles distance, that divides the town from the nearby city of Asti. 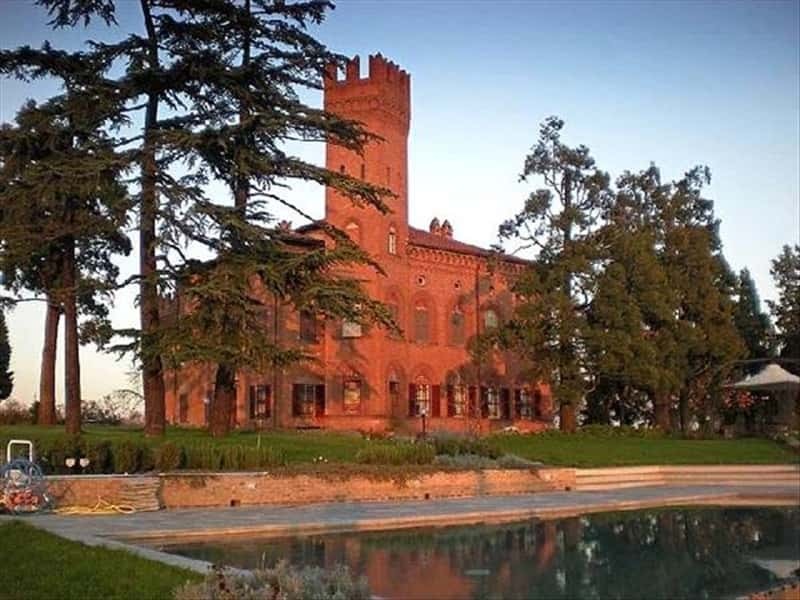 A municipality in the province of Alessandria, the town is situated on a hill that rises on a plain crossed by numerous trails and paths the join Quattordio to the towns in the surrounding area. The main centre is divided into two parts by the stream Chiesetta and is surrounded by fields of crops, such as cereals, sunflowers, by vineyards and woods of poplar trees. The town's territory has strategic location for transit and trade, halfway between Asti and Alessandria. The town's origins date back to the Roman times, a period in which several settlements were founded and added as rural districts to the existing city of Alba, Acqui, Asti and Tortona. The roads through the area, became important and were strewn with milestones indicating the distance between the cities. Quattordio is famous for the presence of a plaque marking 14, located near to where today stands the parish church. Over the years, due to its climatic location, the town became a summer residence for several noble families. In the early XIII century it was the scene of clashes between Asti and the Marquis of Monferrato and the struggles between the Guelphs and Ghibellines. The center belonged for a long period to the noble Family Guttuari of Asti. Proclaimed fief, the town was ruled by the Olivazzi, the Civalieri, the Mantelli and the Colli. During the late Middle Ages and early Modern Times, the town became part of the County of Alexandria, until in the early XVIII century, with the whole province, it was annexed to the territories under the domain of the Savoy. After a short period of French domain, Quatordio shared the same history and fate of the Kingdom of Italy. This town web page has been visited 46,837 times.